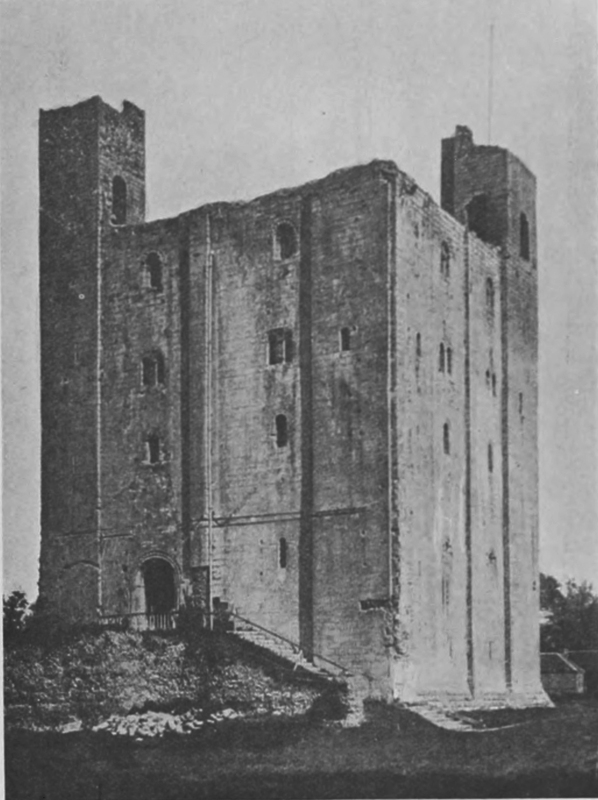 Hedingham Castle’s Norman keep, 110 feet high, was built c.1140 by Aubrey de Vere and is still owned by one of his descendants, The Honourable Thomas Lindsay and his wife Virginia. There are four floors to explore, including a magnificent Banqueting Hall spanned by a remarkable 28 foot arch, one of the largest Norman arches in England. A good view of this splendid room can be obtained from the Minstrels’ Gallery, built within the thickness of the 12 foot walls. A visit to the castle and its beautiful grounds is ideal for a family outing, and during the summer there are a variety of special events which bring its colourful history alive. Come and enjoy one of our exciting Jousting Tournaments or other entertainments. Castle weddings in medieval surroundings. For those wishing to get married in a Castle, it is now possible to have a romantic candlelit Civil Ceremony in the Banqueting Hall. This grand specimen of a Norman fortress derives most of its interest from its connection with the great family of De Vere, Earls of Oxford, to whom it served as their main stronghold and head of their baronies. The name of De Vere is one of the most ancient as it is one of the most illustrious in English history ; it was indeed long ago claimed that no king in Christendom had such a subject as Oxford, and this castle was the cradle of the Oxfords. The Manor of Hedingham was, together with that of Kensington, in Middlesex, and many another at the time of the Domesday Survey, the property of Alberic de Vere, a noble Norman who had followed the fortunes of Duke William, and received from him after the Conquest fourteen different lordships. The son of this Alberic, of the same name, was made by Henry I., the Conqueror’s son, Hereditary Lord Great Chamberlain of England, and his son Aubrey, for his fidelity to the Empress Maud, the daughter of Henry I., in her contest with the usurper Stephen, was created Earl of Oxford, the first of that splendid line of earls who held their title in uninterrupted male succession for the unequalled period of five centuries and a half, from 1137 to 1703.
and at his departure, his lordship’s livery servants, ranged on both sides, made an avenue for the King, which attracting his highness’s attention, he called out to the earl, and said, “My lord, I have heard much of your hospitality ; but it is greater than the speech. These handsome gentlemen and yeomen, which I see on both sides of me, are surely your menial servants?” The earl smiled and said, “It may please your grace, they were not for mine ease : they are most of them my retainers, that are come to do me service at such a time as this ; and chiefly to see your Grace.” The King started a little and rejoined, By my faith, my lord, I thank you for my good cheer, but I may not endure to have my laws broken in my sight ; my attorney must speak with you: It is added that this affair cost the earl eventually no less than 15,000 marks (£10,000), in the shape of compromise. This was “that villanous fine” of which Horace Walpole writes. It is this earl whom Shakespeare brings on the stage, and who also forms one of the characters in Sir Walter Scott’s “Anne of Geierstein.” He died in 1513. When John, fourteenth earl, succeeded he was offered £12,000 a year for his estates without their castles, houses and demesnes. they remained until 1713, when they were sold to an old Lancashire family, named Ashurst, from whom the castle again passed, by marriage, to the family of its present possessor, \Ir. James H. A. Majendie. The estate and castle of Hedingham were exposed for sale during 1893, but unsuccessfully. To conclude the history, the title of Earl of Oxford became extinct on the death of the twentieth earl in 1703, the last two possessors of the title dying in poverty. And in that family there had been four Knights of the Garter ! Horace Walpole wrote : ” Hedingham Castle is now shrunk to one vast, curious tower, that stands on a spacious mount raised on a high hill with a large foss.” The date of its erection is not known precisely, but the style is pure Norman, resembling that of Rochester and the Tower of London, both which castles were built by the direct order of the Conqueror. Besides the great central tower, or keep, the remains consist of a brick bridge over the ditch, of Perpendicular work, erected possibly by John, thirteenth earl, after his restoration, and a few traces of the walls and towers surrounding the inner court, with some earthworks on the N.E. of the garden. A drawing of 1665 shows another large brick tower of four storeys inside the moat, this being the gatehouse, having octagonal towers at the corners, and connecting walls with round flanking towers, all of which have disappeared, having been dismantled by warrant of the thirteenth earl in 1562. The whole was placed on the top of a steepish hill, surrounded by a moat, and having an encircling fortified wall, enclosing about three acres. The great keep rises to a height of 110 feet, with walls 12 feet thick, which are formed of rubble, composed of flints and rough stone embedded in mortar, and faced with excellent oolite ashlar, which was brought from Northamptonshire ; the facing stones have been prepared and laid with extreme regularity and neatness. At each corner is a slightly projecting pilaster tower, two of these still terminating in their turrets, which surmounted the roof and battlements. The original entrance to the keep was on the west side ; it is attained by an external flight of stairs leading to the large round headed doorway on the first floor, and has Norman zigzag ornamentation, as in the case of Castle Rising. The interior consists of four storeys, the second of these being the most honourable, and containing the great hall, where probably occurred the scene between Henry VII. and the thirteenth earl already related. This is a noble room and in good preservation, being spanned by a beautiful arch of fine masonry 28 feet across, said to be the largest Norman arch in England, sustaining the beams of the floor above. As in the similar hall of the White Tower iu London, there is a gallery contrived in the thickness of the walls running around the entire floor. The fourth floor probably contained sleeping apartments, and above is the platform roof of the keep, affording a most extensive view of the surrounding country. The building was restored and re-roofed in 1621. Morant Says that the Castle watt brought into its present ruinous condition during the first Dutch war, in 1666, in order to prevent its use as a prison for foreign sailors taken in sea engagements, and to avoid the attendant troubles with the soldiers then required as a garrison. Maud, the Queen of Stephen, died here in 1152, and was taken thence for burial to Faversham. When, in 1216, after the grant of Magna Charta, King John turned on the Barons, prominent in whose ranks was Robert, second Earl of Oxford, and laid siege to Rochester Castle, he also caused Hedingham to be besieged, and shortly obtained its surrender; but at the King’s death that autumn, Oxford must have recovered his castle, as we find it next year attacked and again taken by the army of Louis the Dauphin; however, in the pacification that ensued after the battle of Lincoln, the Earl of Pembroke, .who was Marshal of England and Governor of the young King, obtained the restitution of Hedingham to its owner. This second earl was by name excommunicated by Pope Innocent I II. for his participation in the great work of 1213, but afterwards received a pardon. Nothing of importance is recorded respecting the castle after the above period until the time of John, twelfth earl, to whom the estates had passed by quiet succession during nearly 4 centuries. They were then forfeited, but were restored after Bosworth Field to his second son.